Tennessee Wildlife Resources Commission (TWRC) is the body of commissioners who help oversee the Tennessee's wildlife management agency, the Tennessee Wildlife Resources Agency (TWRA). The TWRC is responsible for helping set game limits and seasons, as well as and wildlife related regulations & proclamations. 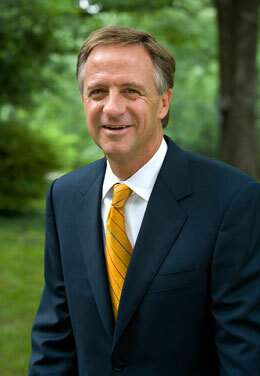 And, as of 2010 they are responsible for setting fees related to Tennessee hunting and fishing license costs. There are 14 commissioners, with 5 of those being defacto political positions who rarely, if ever, attend meetings or vote. The TWRC commissioners are not paid for their work, but they are reimbursed for food and travel expenses. 9 commissioners are appointed by the Gov. to 6-terms that are staggered - the staggering causes 3 commissioners (1 west, 1 middle and 1 east Tennessee) to come off every 2-years. Two commissioners are appointed by the speaker of the house and the speaker of the senate respectively. The de facto members are the Governor of Tennessee, the commissioner of the Department of Environment & Conservation (TDEC) and the Commissioner of the Tennessee Department of Agriculture. E-1 - Carter, Claiborne, Cocke, Jefferson, Johnson, Grainger, Greene, Hamblen, Hancock, Hawkins, Sullivan, Unicoi, and Washington. E-2 - Anderson, Blount, Campbell, Cumberland, Knox, Loudon, Morgan, Roane, Scott, Sevier, and Union. E-4 - Bledsoe, Bradley, Hamilton, Marion, McMinn, Meigs, Monroe, Polk, Sequatchie, and Rhea. M-3 - Clay, DeKalb, Fentress, Grundy, Jackson, Macon, Overton, Pickett, Putnam, Smith, Trousdale, Van Buren, Warren, and White. M-5 - Bedford, Cannon, Coffee, Davidson, Franklin, Lincoln, Marshall, Moore, Robertson, Rutherford, Sumner, and Wilson. M-6 - Cheatham, Dickson, Giles, Hickman, Houston, Humphreys, Lawrence, Lewis, Maury, Montgomery, Stewart, Wayne, and Williamson. W-7 - Benton, Carroll, Decatur, Hardin, Henderson, Henry, and Perry. W-8 - Chester, Crockett, Dyer, Gibson, Lake, Madison, Obion, and Weakley. W-9 - Fayette, Hardeman, Haywood, Lauderdale, McNairy, Shelby, and Tipton.